These workshops are designed to help members improve some aspect of flyfishing. Some workshops are ongoing, while others are set up for a specific goal, such as an special knots for an upcoming saltwater fishout. Currently we have ongoing courses in fly tying and rod building. The workshops are a great place to learn something or just hang out. You can meet your friends and make new ones, trade fishing stories, find a fishing partner for next weekend. It's a relaxing, informal get-together. The Round Table was developed to help members prepare for a specific type of fishing. The program kicked off in February of 2011 with a Steelhead clinic that covered everything from equipment to flies. Coming programs include Bass, Strippers, and Trout. Tying your own flies can be both educational and fun, and there is nothing like catching a fish on a fly you tied. PFF has a great program for both beginners and experts. Many of the club members drop in to tie his or her own choice of flies. The club offers both beginning and intermediate classes. The intermediate class is currently being taught by Mike McGuire and the beginning class by Harold Patterson. 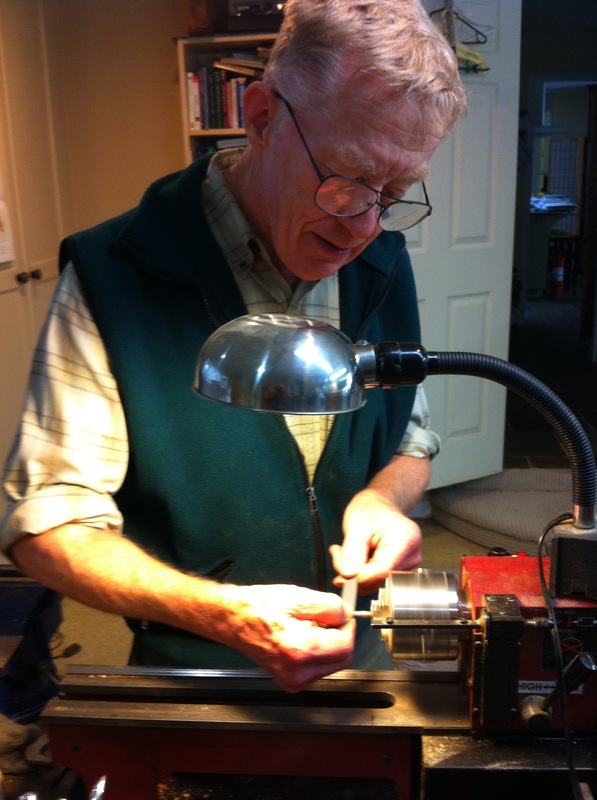 These classes are a great way get a good start in fly tying or to learn a new pattern. There are quite a few excellent tiers in our club who generously share their expertise. Putting the finish to the guides. Below is the Rod Builders PDF created by former Life Member Doug Weber, to guide you through the process of building a rod.